Austin McChord, the RIT grad who founded a high tech company called Datto which is expanding in the Rochester area, announced on Tuesday that he is stepping down as CEO. Tim Weller, Datto President and Chief Operating Officer will lead Datto’s strategic and daily operations while an executive search is completed. McChord will step away from the day-to-day management of the business, but will remain a member of the board of directors and a major shareholder of Datto. In this capacity, McChord will continue to be actively involved with the data protection company. Gov. Andrew Cuomo was in Rochester last month to help celebrate the expansion of Datto. Datto has moved its 225 jobs from its previous location on Franklin Street in Rochester, to several floors in The Metropolitan, which is the former Chase Tower. “This move is part of a natural evolution for the company and for me. Datto was my first passion, and I’m looking forward to focusing my efforts on providing strategic counsel and support now that the company is in a market-leading position. I will also take part in the executive search for the right CEO as my successor,” McChord said in a statement released Tuesday. 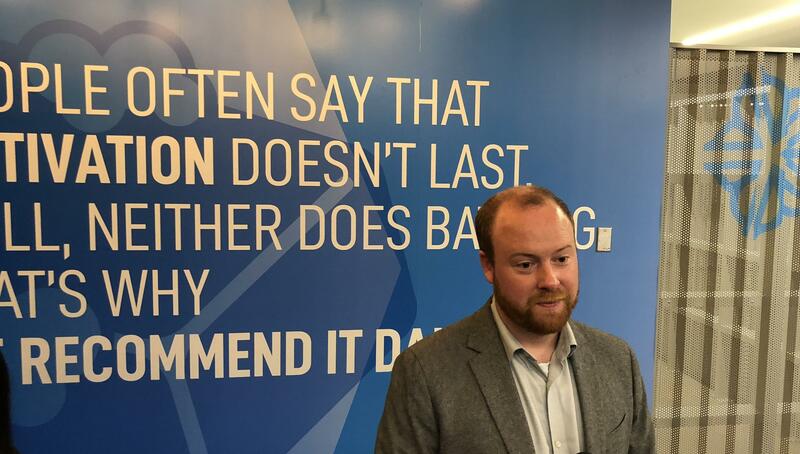 Officials said last month that Datto had 80 positions open; eventually they hope to grow to more than 350. The company’s headquarters is in Connecticut. Last year, McChord announced a $50 million donation to RIT.